I am not too sure about this quilt, it feels unbalanced to my brain. I do love the hearts though. This would be the perfect DIY quilt pattern for a wedding gift or anniversary present. You can grab the free quilting pattern here. I agree about the imbalance. 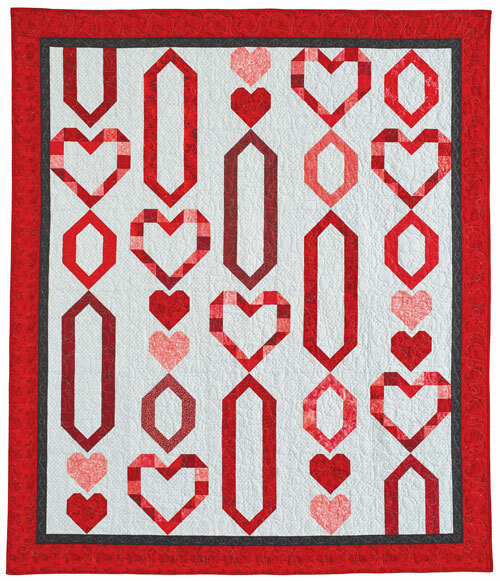 If I make it, I would continue the cascade of heart and long chain pieces across the two right rows so there is a diagonal line of hearts across the quilt. Thanks for sharing the post. I was looking for the free pattern but seems to say it can only be found in a magazine. Just wondering if I’m missing something? Thanks.